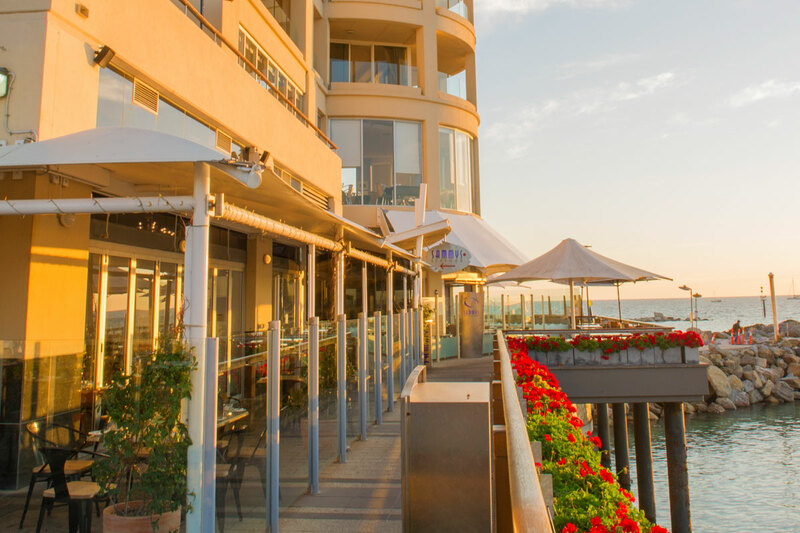 Just 20 minutes from the Adelaide CBD but a world away from care, Marina Pier at Holdfast Shores, Glenelg invites visitors to escape to this stunning seaside location to indulge in beautiful food and wine and designer shopping. Renowned as the city’s fine dining destination by the sea, Marina Pier boasts breathtaking panoramic views over the ocean, and comprises an area of more than 3,816.6sq m with an array of tenancies. 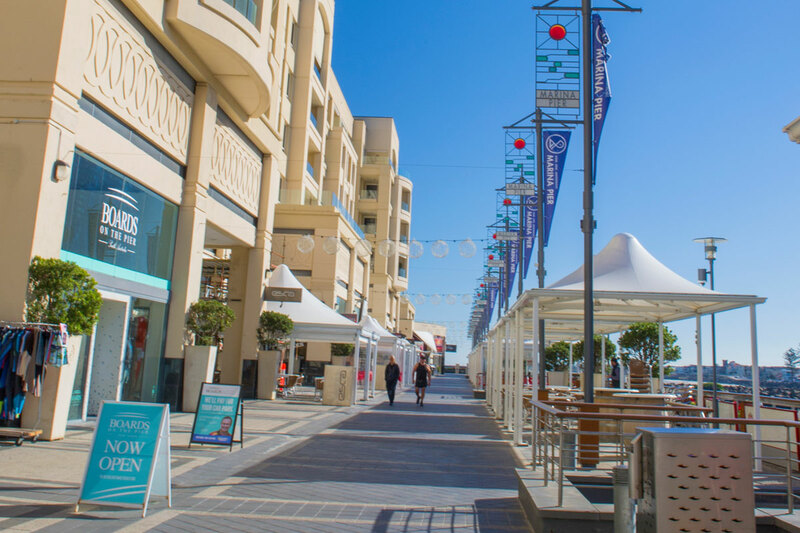 Adjoining an international marina and within easy commuting distance from the city, Marina Pier offers the perfect setting to enjoy the range of international cuisines on offer from world-class restaurants including Esca, Zucca, El Carbon and Sammy’s. 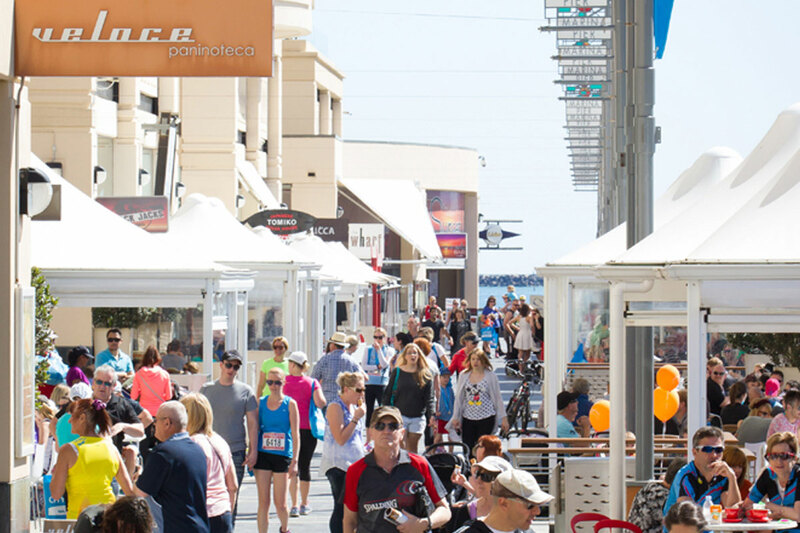 The precinct tempts locals, commuters and tourists to take in all the atmosphere of the Glenelg foreshore and discover a vibrant mix of high quality shops, health and beauty providers, and a surf shop stocking Australian designer clothing. The Marina is home to prestigious tenants including Riviera Marine SA and also affords keen boaties the opportunity to take to the seas on board their own luxury yacht. Adjacent to Marina Pier, Lights Landing offers 908.50sq m of retail or office space with excellent exposure to both the Marina and Anzac Highway. 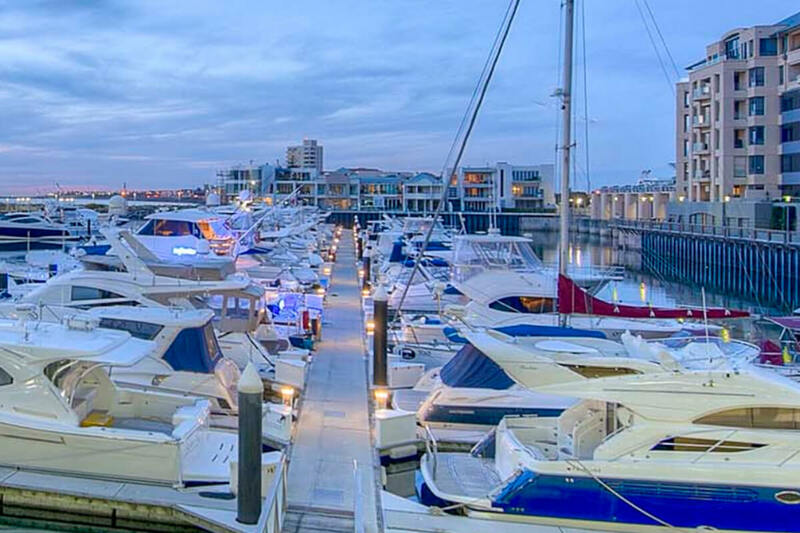 Marina Pier is easily accessible with undercover parking of up to 250 spaces, serviced by Adelaide’s tram line, and is linked to the city centre via convenient vehicle access from Anzac Highway.